California is getting its first hydrogen-powered ferry. 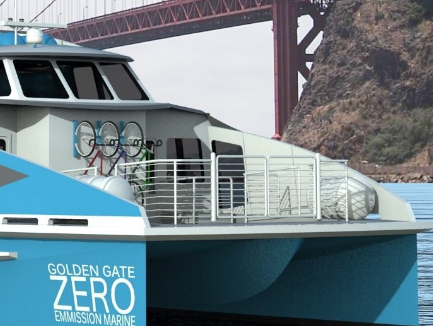 Water-Go-Round hydrogen fuel cell catamaran will operate in three months in San Francisco Bay to determine marine suitability of the technology. On launch in mid-2019, the Water-Go-Round will be the first fuel cell vessel in the US and the first commercial fuel cell ferry in the world. The catamaran, which will be deployed in the tourist trade, has been developed by local start-up Golden Gate Zero Emission Marine. Fuel cells are very clean, with their only by-products being electricity, excess heat, and water. In addition, as they do not have any moving parts, fuel cells operate near-silently.